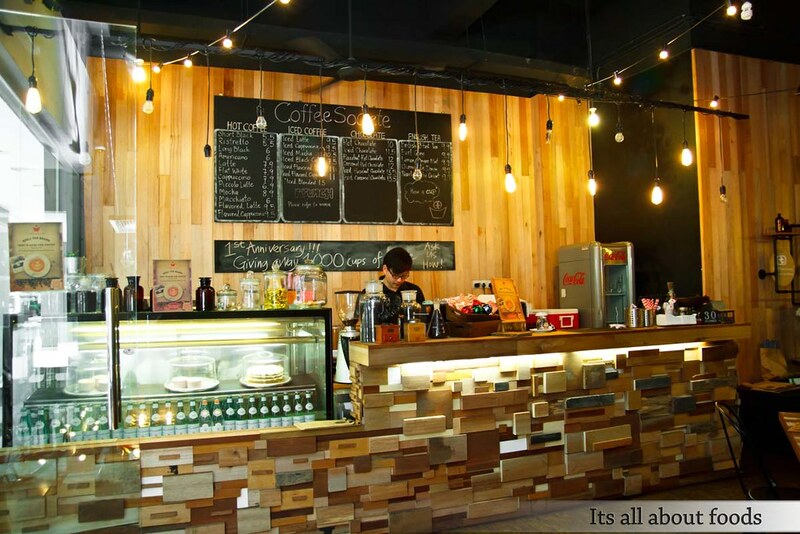 For the passion of coffee and for the dreams to share the goodness of coffee with everyone, Coffee Societe has finally born, step by step from an empty shoplot to a cozy cafe in Publika. 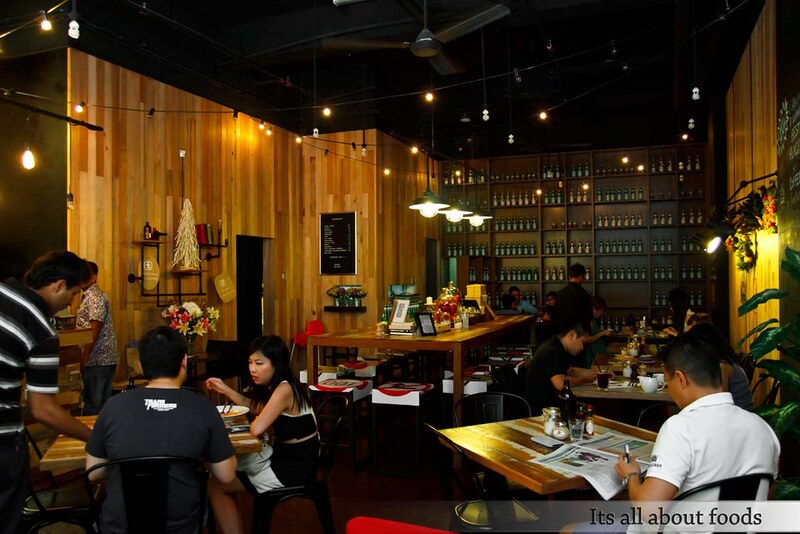 The first impression on this cafe: very homey, vintage with contemporary modern design. Wooden element is the major decorative item, from the walls, the cabinet and the tables. They are everywhere. 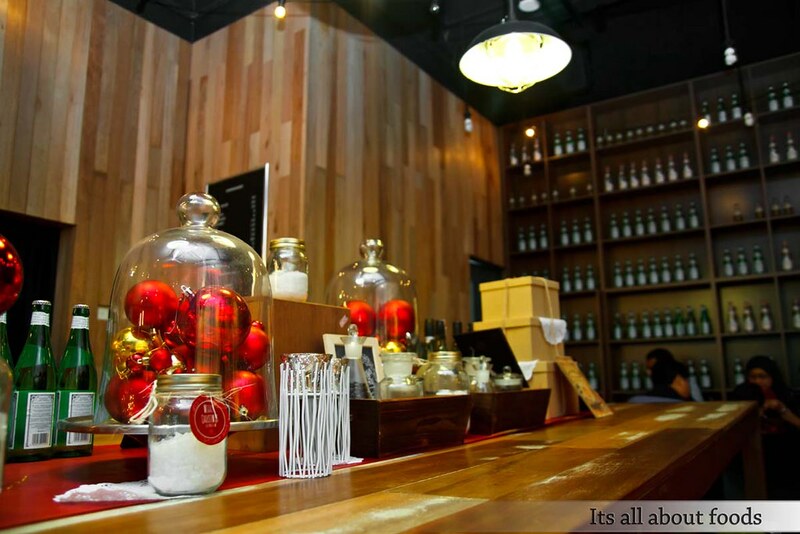 The aroma of coffee fills the air in Coffee Societe, so as the cheerfulness and happiness of Christmas and New Year when we paid a visit there last month. 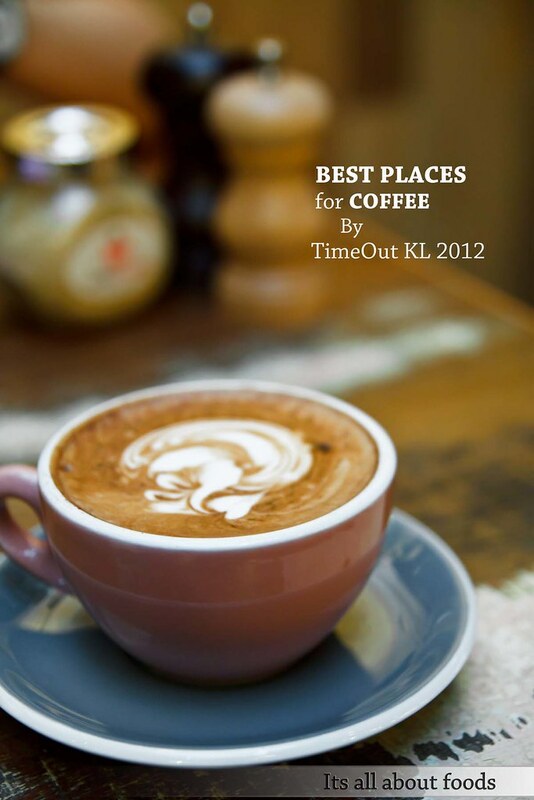 Voted to be the best places for coffee by Time Out KL, there is always a reason to step into Coffee Societe for a cuppa of good coffee over the weekend afternoon. 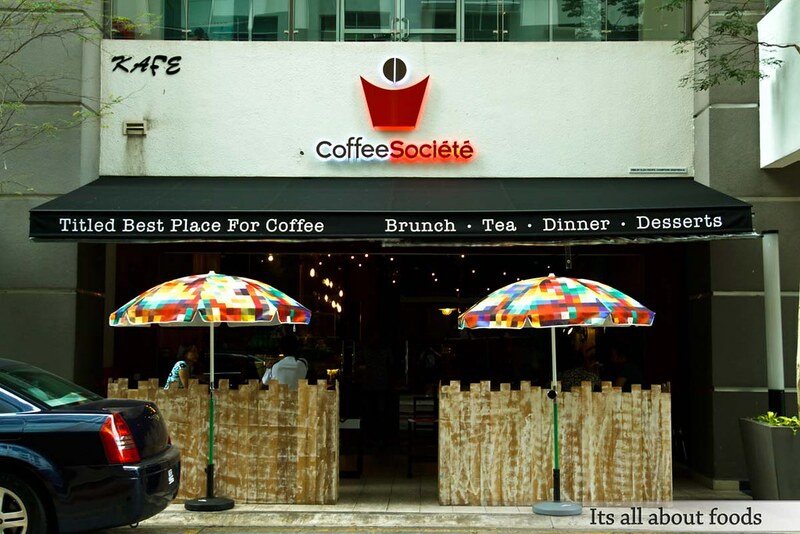 Every cup in Coffee Societe is freshly brewed, and they use their own house blended by Coffex coffee. 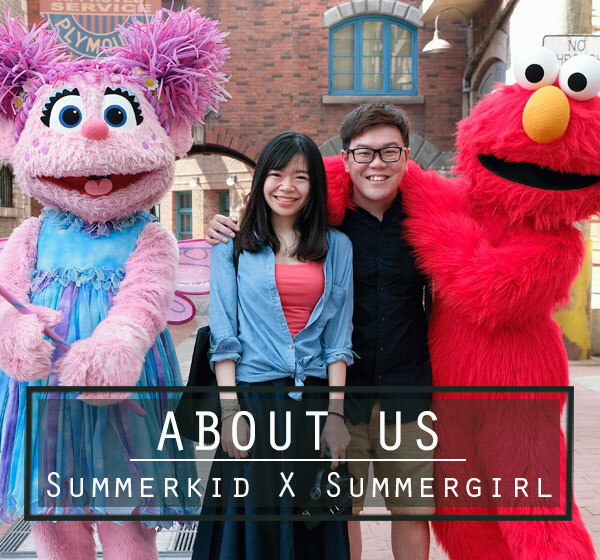 As usual, Summerkid will go for his cappuccino..
…while Summergirl will go for mocha. 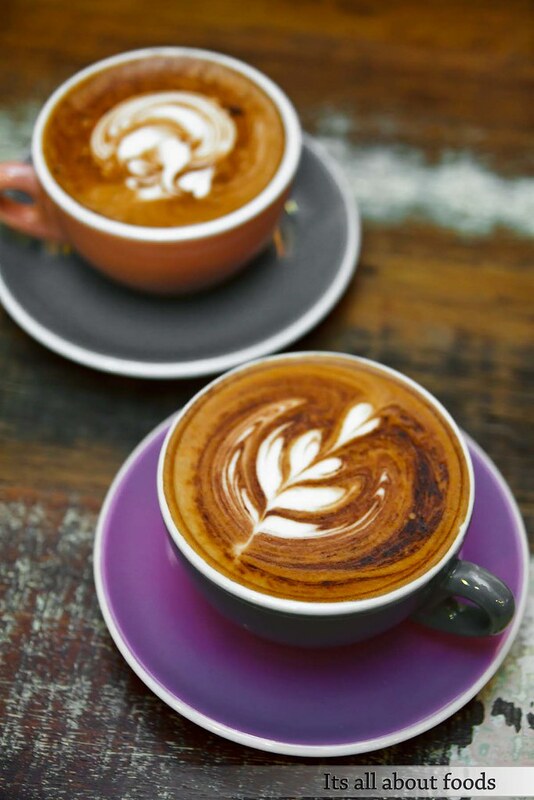 Beautifully presented with coffee art, their coffee was not only love at the first sight, but also love at the first sip. Since the girl liked their coffee so much, she went for second cuppa. 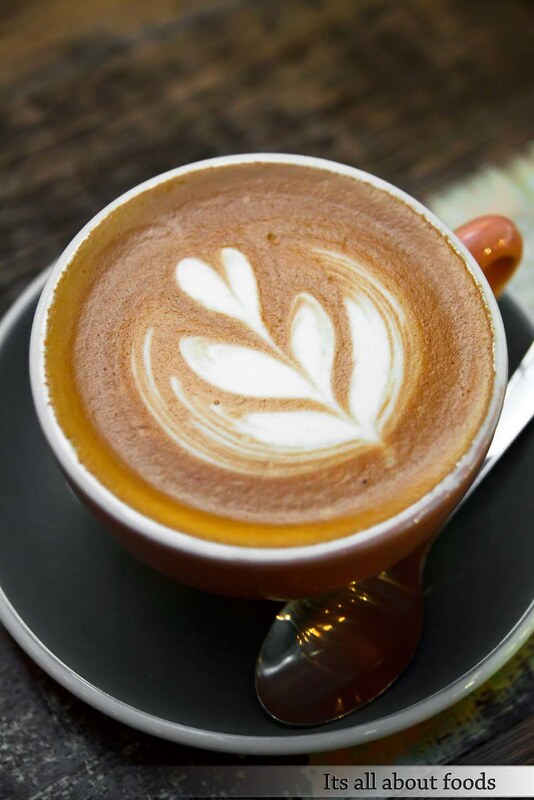 Frothy and velvety smooth, the flat white promotes a hint of sweetness that is pleasant to the palate. 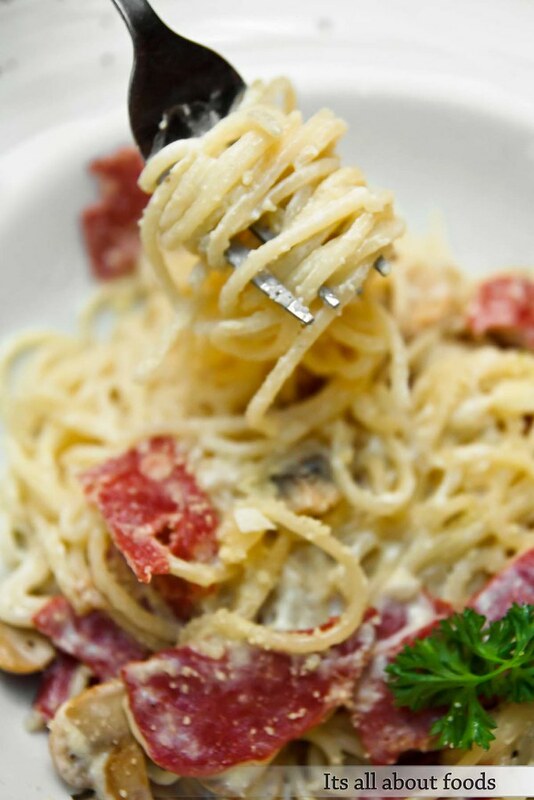 A bowl of delicious yet al dente pasta nicely coated with creamy, thick and cheeze carbonara sauce, lacing with juicy mushroom and smoky beef bacon. 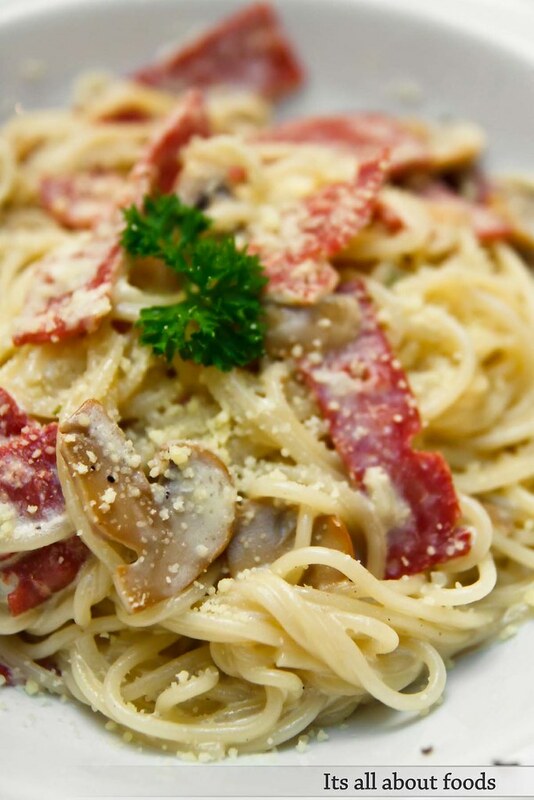 Portion too, was good enough bring to a satisfying stomach together with a cuppa of coffee. 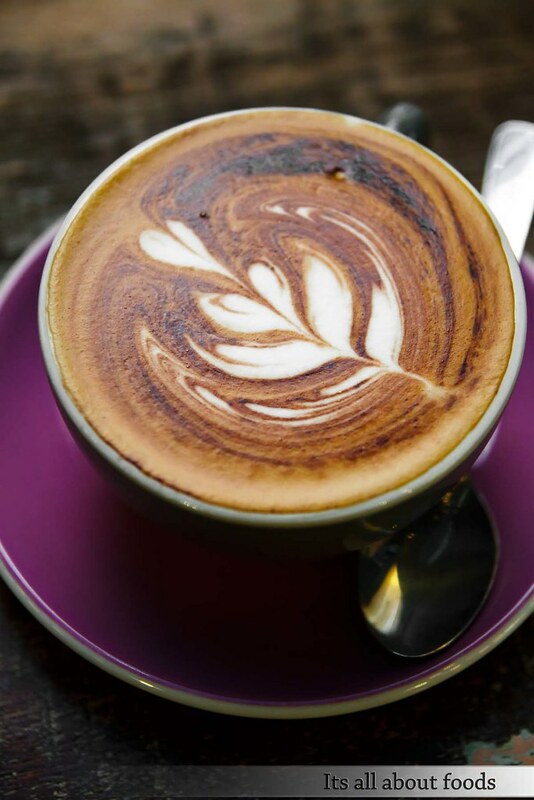 At first, we expect the cafe to be quiet over the weekend afternoon. But things turned the other way round. So Coffee Societe is doing well, brisk business. Which is something good. 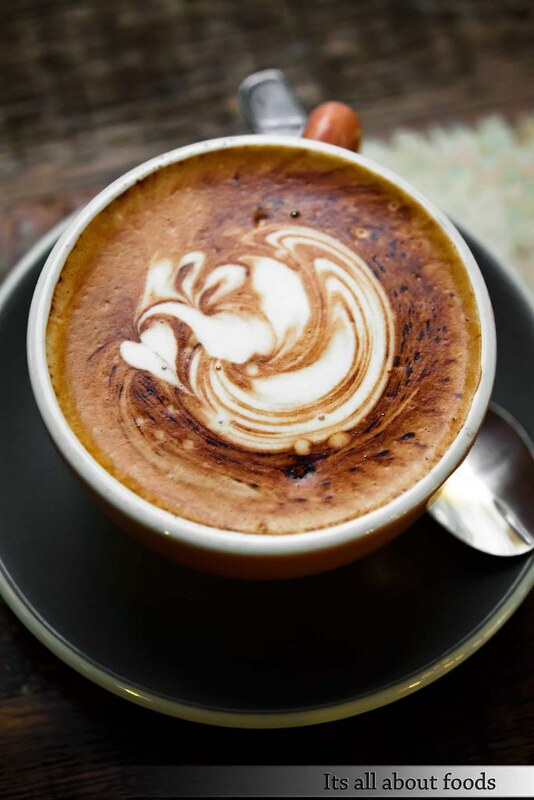 But when noisiness comes into play, we do hope that the cafe will soon expand, and hopefully will have a parted section for those who enjoy their coffee but at the same time needs more personal and quieter space for work, as what Coffee Stain by Joseph does.